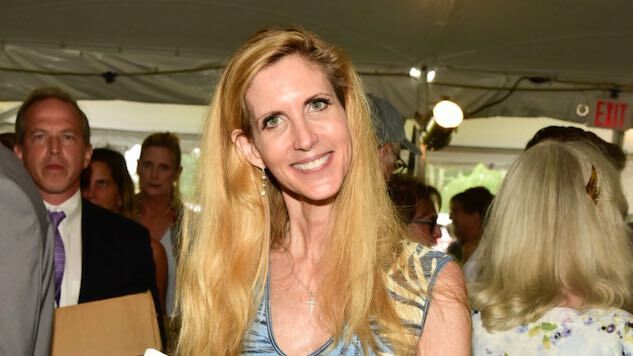 Famed collection of bones wrapped in chicken skin Ann Coulter has got some opinions about Marco Rubio’s additions to the Republican tax bill, and she won’t let anything get in her way of expressing them. Not even herself. Rubio has advocated for an increased child tax credit multiple times during the process of passing the GOP tax reform measure, and it appears he’s going to get his wish, as the Republicans have announced they will concede this point to him ahead of their release of their tax bill, following the conference between the Senate and the House. We could keep trying to come up with new and better owns with which to bombard Coulter, but honestly, she’s done the best one herself. No insult from an outside party can match up to the pathetic totality of self-hatred. The way this tweet instantly rings true with anyone who has ever watched Coulter speak is proof: When you first read this tweet, you likely thought to yourself, “Haha, yeah, it makes sense that Ann Coulter would think of her own life that way.” And that’s a more devastating own than we could ever aspire to.